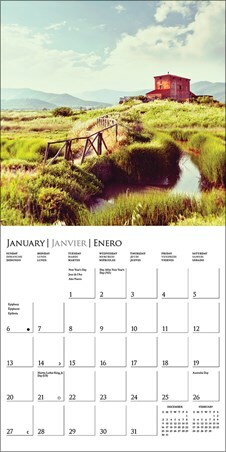 Rolling hills, crystal clear waters and stunning vistas are a common site in the beautiful region of Tuscany and this 2019 calendar has captured a handful of picturesque landscapes for your enjoyment. Visit the reconnaissance cities, or take a stroll through a flourishing vineyard and feel the daily appointments and pressing meetings melt away, as your eye is drawn to this collection of idyllic views from across rural Italy. 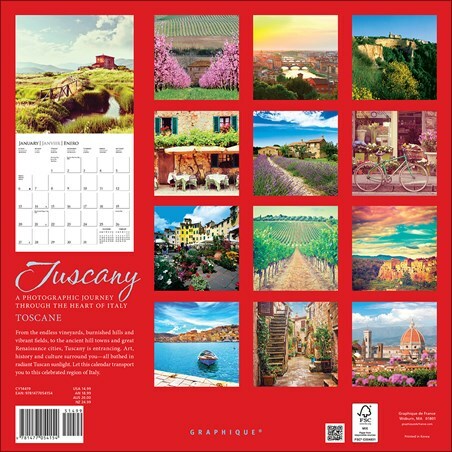 High quality, framed Fine Art And Extraordinary Scenery, Tuscany wall calendar with a bespoke frame by our custom framing service.